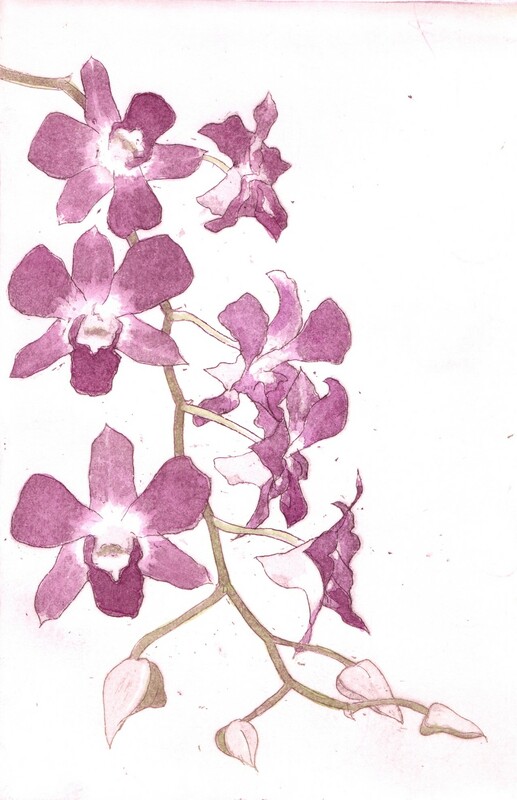 An original copper plate intaglio print of a Dendrobium Sonia Orchid stem, with hard ground etching and aquatint. Medium: Copper plate – hard ground line etching and aquatint. (inked à la poupée (French: “with the doll”), a doll-shaped bundle of fabric is used to apply different colours to different areas of a single plate, which is then printed in the usual way).